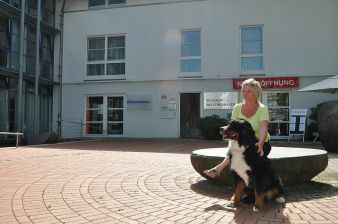 It was at this place in 1993 in the town of Schondorf in Bavaria in the south of Germany, that my love for the Bernese Mountain Dog began. 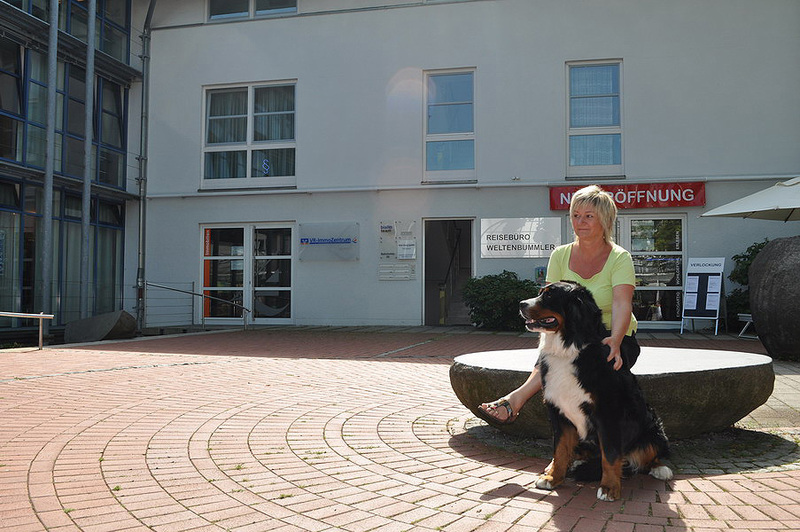 In this town square I saw a Bernese Mountain Dog for the first time and fell in love with him at first sight. This love continues today. A year later, my first Berner came into my house - OMEGA z Niedźwiedziej Gawry, and she helped me immensely to know and love the breed even more. At this stage there were no breeding plans, she was just a family dog for us. The first puppies were born in our kennel in 1998. Omega gave birth to 10 puppies, of which the vast majority reached the age of 11 -13 years. Then we got Gemerská Polomy HONDO, an exceptional dog, whose beauty and wonderful smile are lovingly remembered by all who met him. Hondo took over my heart forever, he will always have a special place in my heart and will never be forgotten. After some time, my husband and children also fell in love with this breed. Now none of us can imagine a home without a Bernese Mountain Dog. In our breeding we care not only for the appearance of our dogs but especially for their health. We work hard to always choose male and female dogs with the best pedigrees: success at dog shows and great health and longevity. Through many years of experience we’ve obtained knowledge that will allow us to continue our successful work with these dogs. We are proud that we have bred so many dogs with International Champion titles, Multi Champion titles, and Champion Titles from many countries including Poland, Russia, Belarus, Ukraine, Moldavia, Macedonia, Bosnia and Herzegovina,Romania, Spain, Serbia and Canada and that many winners at Club Specialties in Poland and the rest of Europe come from our kennel. Many times dogs from our kennel have had wins at World Championships as well as European Championships. Also our dogs have had many Group and BIS wins at many, many shows.